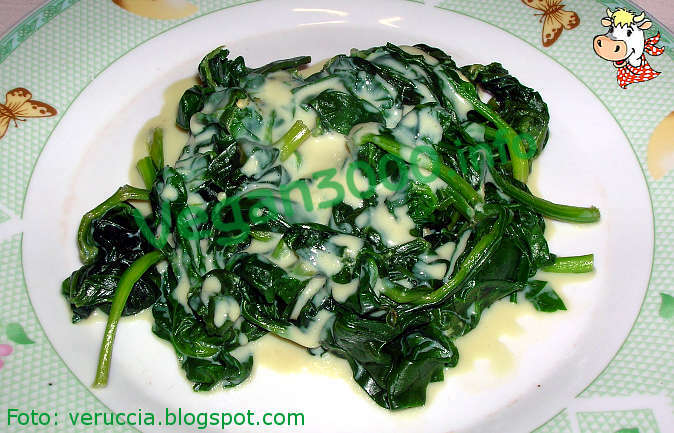 Rinse the spinach and cook in a pan without adding water. Add salt and drain when are wilted. Pour the milk into the Pan and add the cream, stirring; You can replace the cream with two tablespoons of flour or cornstarch sifted showerheads to thicken the milk. Add the spinach and rigirateli and cook for 10 minutes. Should be served hot and prepared freshly.